Kara Vague is the Group General Manager, Strategic Projects for Downer EDI Limited. Kara studied law at Bond University and then went on to complete a Masters in Construction Law at the University of Melbourne. 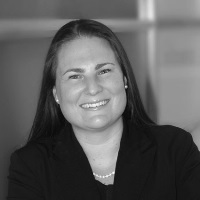 Prior to joining Downer Group, Kara worked for Ashurst in Melbourne in their major projects group. During her time at Ashurst, Kara worked on several high profile and complex infrastructure transactions including the Royal Children’s Hospital PPP, Sydney Metro PPP and Biosciences Research Centre PPP. Kara initially joined Downer in a legal role and led the negotiations on many significant contracts including Shiploaders 1 and 2 Project, Yandi Sustaining Project, Wheatstone, Gold Coast Rapid Transit PPP and Jimblebar. Kara has also held senior commercial roles in Downer with a central focus on providing support and guidance to the commercial network in each part of the Downer business. Most recently, Kara has transitioned into a strategic role at Downer and is involved in reviewing major projects, running project governance, sitting on specialised project review boards for key tenders in Downer, setting joint venture strategy, overseas governance and mandate and taking the lead commercial role on strategically important bids and opportunities.